Magic Blue Tape … Cinta Azul Magica! 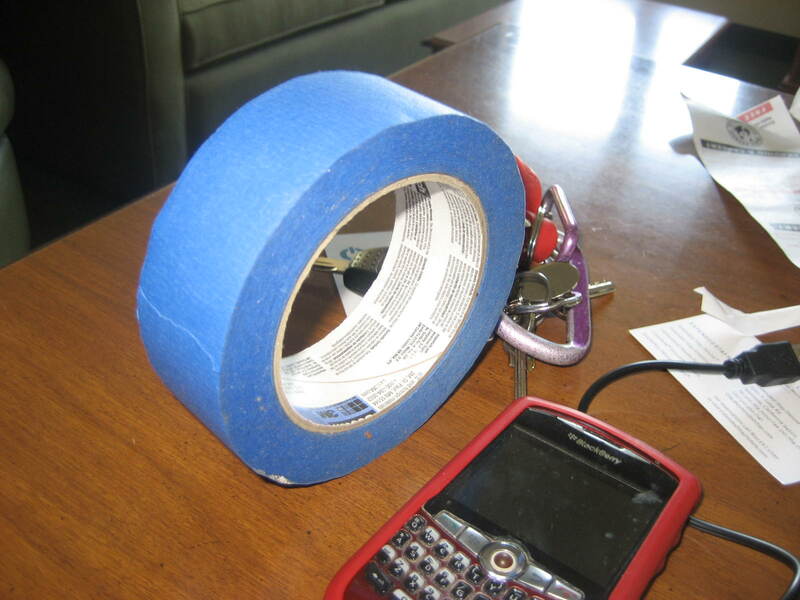 In the Radio Marketing Promotions world – we carry around different kinds of tape: duct tape, tape ‘claro’ clear tape, and blue tape. Blue tape is used to place banners on walls so that, when we go to remove a banner from the wall, especially in a nice venue, the paint doesn’t come off with the tape. Like any Radio Marketing professional, we usually find rolls of tape all over the place: in random boxes, the van, the car, the house, etc.